A journalist whose work has appeared in The Nation, The London Review of Books, and The Village Voice, Moustafa Bayoumi has served on the American Studies Association's National Council and currently teaches English at Brooklyn College. In eye-opening lectures based on his award-winning book How Does It Feel to Be a Problem?, he highlights challenges facing young Arab- and Muslim-Americans today. 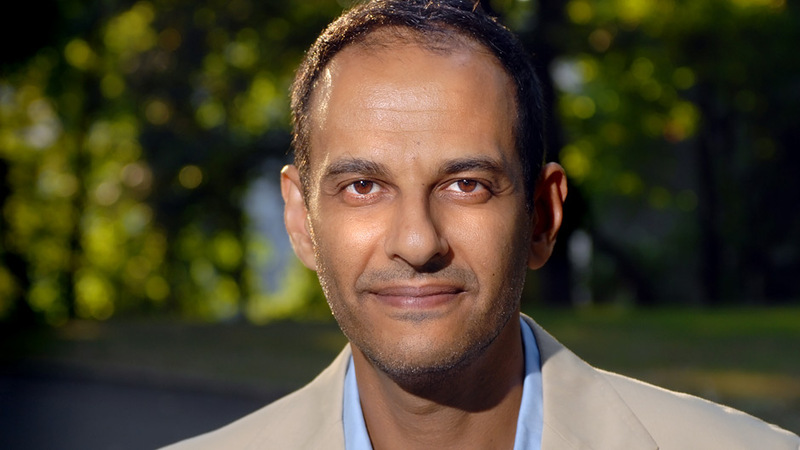 Moustafa Bayoumi is the author of the critically acclaimed How Does It Feel To Be a Problem? : Being Young and Arab in America (Penguin), which won an American Book Award and the Arab American Book Award for Non-Fiction. The book has also been translated into Arabic by Arab Scientific Publishers. 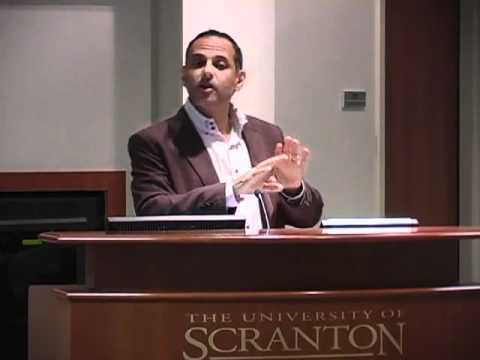 His latest book, This Muslim American Life: Dispatches from the War on Terror (NYU Press), was chosen as a Best Book of 2015 by The Progressive magazine and was also awarded the Arab American Book Award for Non-Fiction. An accomplished journalist, Bayoumi is also a columnist for The Guardian, and his writing has appeared in The New York Times Magazine, New York Magazine, The National, CNN.com, The London Review of Books, The Nation, The Chronicle of Higher Education, The Progressive, and other places. His essay “Disco Inferno” was included in the collection Best Music Writing of 2006 (Da Capo). Bayoumi is also the co-editor of The Edward Said Reader (Vintage) and editor of Midnight on the Mavi Marmara: the Attack on the Gaza Freedom Flotilla and How It Changed the Course of the Israel/Palestine Conflict (O/R Books & Haymarket Books). With Lizzy Ratner, he also co-edited a special issue of The Nation magazine on Islamophobia (July 2-9, 2012). He has been featured in The Wall Street Journal, The Chicago Sun-Times, and on CNN, FOX News, Book TV, National Public Radio, and many other media outlets from around the world. Panel discussions on How Does It Feel To be Problem? have been convened at The Museum of the City of New York, PEN American Center, Drexel Law School, and the Lower East Side Tenement Museum, and the book has been chosen as the common reading for incoming freshmen at universities across the country. Bayoumi is Professor of English at Brooklyn College, City University of New York, and is the recipient of two excellence in teaching awards. He also received a 2011 Culture and Achievement Award from the Network of Arab American Professionals and 2016 Pathmaker to Peace Award from the organization Brooklyn for Peace. In 2015, he was awarded the honorary degree of Doctor of Humane Letters by Southern Vermont College. He lives in Brooklyn, New York.